We specialise in mortgages for part-residential borrowers who run a sustainable enterprise from home. We can consider lending if you are building, buying or renovating a live/work property – or converting to one. Please note that we don’t provide loans for the start-up of new businesses and we need to see the last three years’ accounts of your business, or the business you are purchasing. For mortgages secured on properties of mixed use that are not reliant on commercial activities undertaken on the land or premises to service your repayments, please refer to our residential mortgages information. Our Part-residential mortgage is not regulated by the Financial Conduct Authority. An early repayment charge may be payable if you repay all or part of your mortgage within the first two years. We have supported a wide range of borrowers with part-residential mortgages, including architects, environmental consultants, garden nurseries and organic farms. We recognise that properties that carry mixed use planning consents or restrictive covenants such as agricultural ties can present challenges to some lenders, but we believe that running a business from home represents a low-impact approach. For new build projects, homes need to achieve an A rating under the Energy Performance Certificate (EPC) scheme for us to consider lending, see other Energy Standards we accept below. If you are intending to undertake renovation or conversion work as part of your plans, we will expect the measures you propose to meet our ecological standards via the use of energy efficient measures and sustainable materials. Our mortgages are available across England, Scotland, Wales and Northern Ireland. 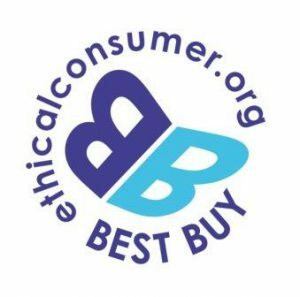 Ecology Building Society was rated as an ethical Best Buy for our mortgages and savings accounts by Ethical Consumer magazine in its product guide rankings (May/June 2018 issue). As a building society with a unique mission to build a greener society, we lend on projects and properties that support our aims through their reduced impact on our environment. Making your home energy efficient is a major way you can support tackling climate change – while saving on your energy bills. We reward borrowers whose properties are energy efficient (therefore have lower carbon emissions) with our C-Change discounts off our Standard Variable Rate which helps them save money on their mortgage. We call our discounts ‘C-Change discounts’ simply because we’re aiming to make a ‘sea-change’ of difference to our climate with each property or project we fund. The level of our C-Change sustainable homes or C-Change retrofit discount that applies is based on the Energy Standard rating achieved on the self-build, renovation or conversion when the work is completed. Our C-Change energy improvements discount is based on the qualifying energy measures being installed. The discount is applied from the date we receive evidence that the work has been completed and if applicable the Energy Standard rating required has been achieved. For us to apply the applicable C-Change sustainable homes, C-Change retrofit or C-Change energy improvements discount, once your build, renovation or conversion is complete you need to provide an Energy Performance Certificate and an Architect’s or Building Control sign off of works if applicable. The discount is only applied to our Variable Rate when we receive evidence that the work has been completed and the Energy Standard rating required has been achieved. The Society reserves the right to amend existing services and charges, or to introduce new ones. Any change to charges will only reflect the increased operational costs of providing the service. You will always be notified before any changes are implemented. For further details and tariff information please see our current Commercial rates and charges leaflet. Do we need to provide planning permission for a new build development? Yes. We need at least outline planning permission to start the application process and detailed planning permission before the mortgage is released. What information do we need to progress a mortgage application? You’ll need to have a specific project in mind which needs to be supported by detailed plans, including a breakdown of material and labour costs and an indication of the energy standard you are building or renovating to. We will also ask for recent financial accounts and bank statements where appropriate, along with financial projections to show how your project will service your mortgage repayments and other ongoing financial commitments. What deposit do we need for my mortgage? You need a minimum deposit of 20% of the purchase price or value of the property(ies) being mortgaged, whichever is the lower. Do we still need a deposit if we already own the land and have planning permission? No, you don’t always need a deposit; we can lend based on the value of your land or property, providing you already own the land and it’s mortgage-free. Also, if you need us to, we can help you repay any outstanding finance on the land. How much will our mortgage cost a month? How long do we have to complete the build or renovation? Subject to planning constraints, we allow a maximum of 2 years for you to complete the build or renovation, although we encourage you to complete earlier to benefit from our C-Change sustainable homes or C-Change retrofit discount which is applied to the Variable Rate from the date we receive evidence that both the work has been completed and the Energy Standard rating required has been achieved. Do you offer stage payments? Yes, although we do not release payments at set construction milestone stages (e.g. foundation, wall plate etc.). We release funds as and when the build progresses and release up to a percentage of the increased value of the property. Can we have interest-only during the build or renovation phase? Yes, we can offer an interest-only period during the construction or renovation phase subject to an acceptable repayment vehicle. Does Ecology require a particular build warranty on completion of my project? A build warranty is not a mandatory lending requirement of our mortgage and we are happy with a Building Regulation Completion Certificate. However, if you wish to take out a build warranty for the completion of the property then this is acceptable to the Society. Do we need to have been established for a minimum period before you will lend to us? Yes, we need to see the last three years’ accounts for your business, or the business you are purchasing. We’ll only use your details to respond to your query and for legal/regulatory obligations. Your information will not be used for marketing purposes, unless you have requested this.